Apple’s new watch certainly gets personal with its wearer: It knows your heartbeat, your location, and how often you talk to your best friend. It knows your movements and in some cases can predict your intentions. And Apple hopes it will give you enough reason to pay attention to it throughout the day. Through the Apple Watch technology and form factor, marketers will have access to what Forrester Research calls “glanceable moments”–useful indications that people can quickly understand and incorporate into their day. In order to do well, marketers will need to find creative and relevant ways to add value without annoyance. With WatchKit Apps, users can launch, control, and interact with your app within the bounds of the watch’s capabilities. Marketers can reimagine ways that users will interact with their content quickly on a small screen. Glances provide timely read-only information that can be digested quickly. These can be as simple as an appointment reminder or a push notification to let a customer know their order has shipped. Actionable Notifications let users take action right from their wrists. Restaurants can confirm a reservation or marketers can let a customer know that the shoes on her wish list just went on sale. 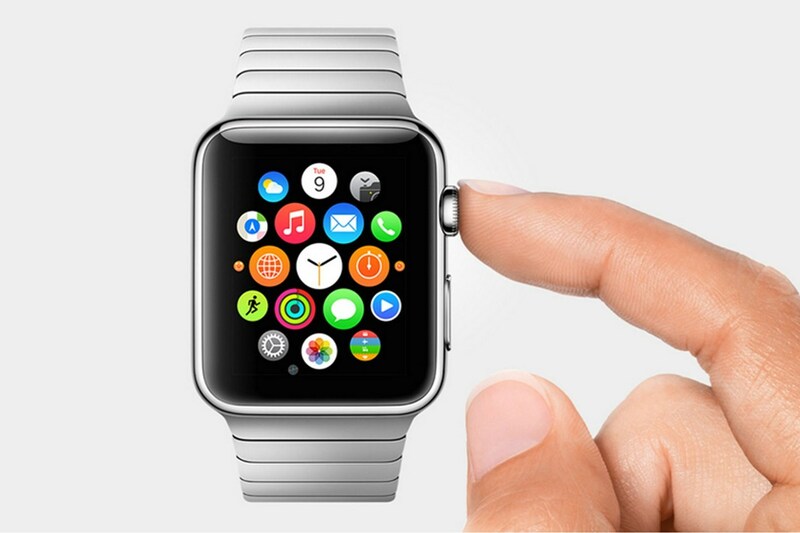 Apple Pay is among the apps that are built into Apple Watch. Now customers can pay at the register by double-clicking the side button and holding the face of their Apple Watch up to the contactless reader. A gentle pulse and a tone confirm that their payment information has been sent. Through iBeacons, retail and restaurant marketers can already create invisible geofences that sense when an iPhone user is in close proximity, and send notifications to that iPhone while the user is passing by their store. On a smartwatch, this same functionality suddenly gets more personal. Marketers can use haptic feedback—using the sense of touch in a user interface to convey information—to alert someone by virtually “tapping” the user on the wrist to get his or her attention. In order to receive a brand’s messaging, a user must first download the brand’s app and accept notifications and alerts. If a person downloads many brand apps and consents to receiving notifications from all of them, that person may be in for a barrage of wrist vibrations when she walks down the street and each store she passes sends an alert. It will be tempting to use Apple Watch’s actionable notifications to send offers, but when every other company is doing the same thing, it can quickly become irritating to users. To stand out without being annoying, marketers must use minimal frequency and find ways to add value without adding interruption. You’ll need a system to manage the notifications and coupons you offer to customers. When people glance at their watches, it’s typically for about half a second each time. As a rule, brands should make each alert both easy to read at a glance and immediately useful. Focus on providing messaging and functionality that is timely, of high contextual importance, and immediately actionable. The watch requires an iPhone to be nearby in order to work, so marketers can leverage tactics that span the two devices. The smartphone is best used for typing, displaying video, long-form reading, and linking to websites, while the smartwatch is better for inputting brief, pre-selected choices, receiving notifications, and sending simple communications like status updates and pictures. To collect the wealth of data that passes through your app on the Apple Watch, configure the app event data collection using Signal’s mobile SDK. The app events can be merged with data from other channels via Signal Data Hub and sent to your marketing and analytics partners, as well as leveraged to build cross-channel customer profiles. When this data is cleanly collected and matched, the insights you’ll learn from this personal device will create a deeper understanding of your customer’s intentions. The more detailed your customer profiles become, the more relevant your messaging and timing can be. And that’s marketing at its best.